A wide range of packaging options is offered to suite specific customer requirements. All manufactured products are exported in refrigerated containers maintained at -18° C to their final destination. Each ‘full container load’ (FCL) holds 23 MT of fruits and 22MT of vegetables. Custom retail packaging is undertaken in clear or printed plastic pouches (2lbs, 1kg and 2.5kg) in cartons, or as specified by customers. 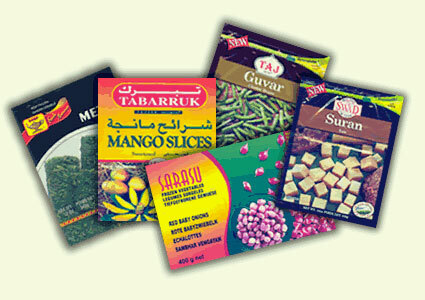 Packing is in blue food poly-bags sealed in 10 Kg five-ply outer industrial cartons, placed in refrigerated containers.